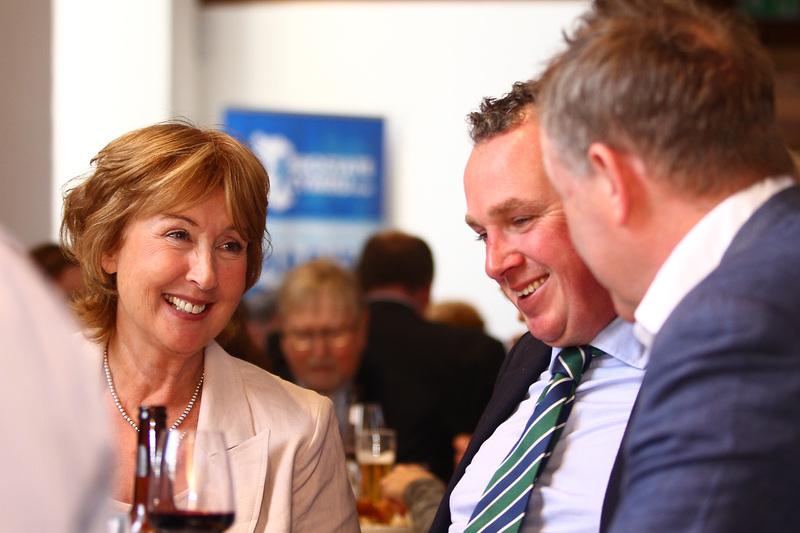 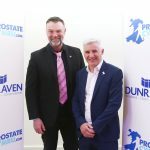 Prostate Cymru held its fifth annual ambassadors lunch on Friday 12th April at Cornerstone, a community venue on Charles Street in Cardiff city centre. 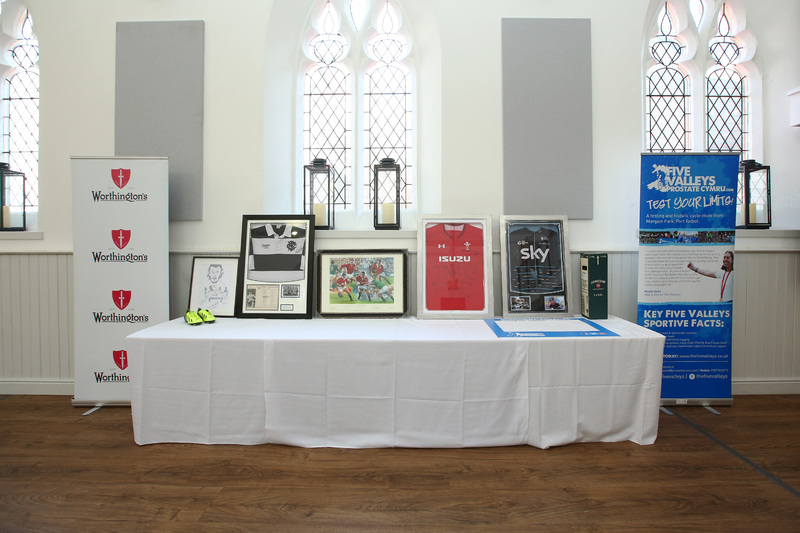 Around 160 people, including fundraisers and local Welsh businesses, joined the charity for the enjoyable afternoon. 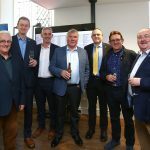 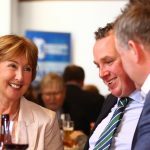 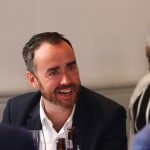 Guests were welcomed with a drinks reception courtesy of Molson Coors in the Jane Hodge Hall before heading into the Dewi Sant Great Hall for the main event. 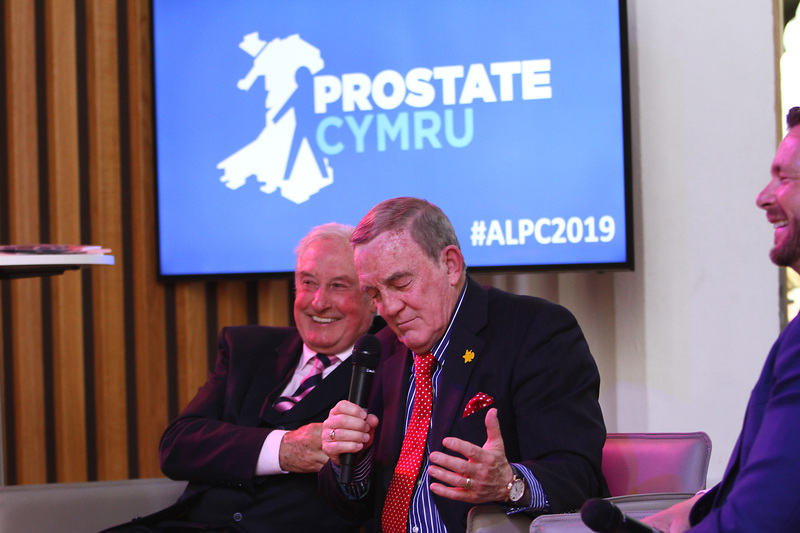 Chairman of the Pembrokeshire Friends of Prostate Cymru Brian Harries BEM acted as Master of Ceremonies for the event. 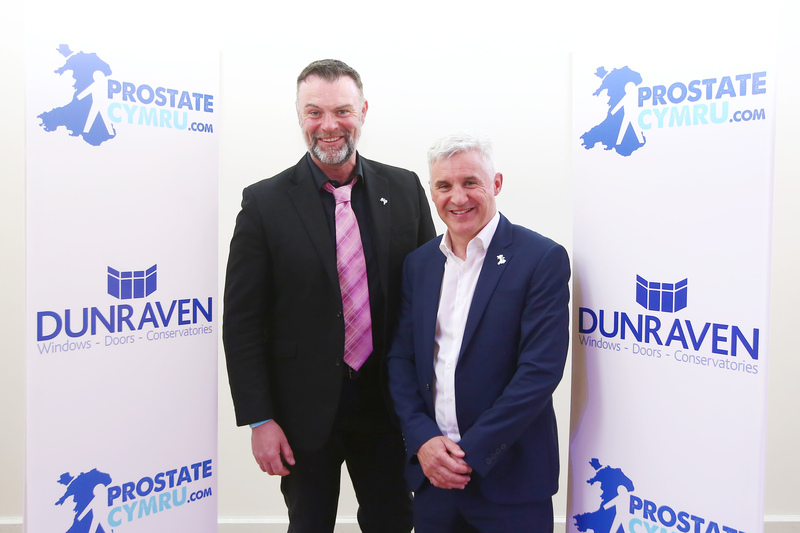 Prostate Cymru Chairman Andy Thomas gave a short presentation about prostate diseases, shared what the charity had achieved during 2018 and future plans. 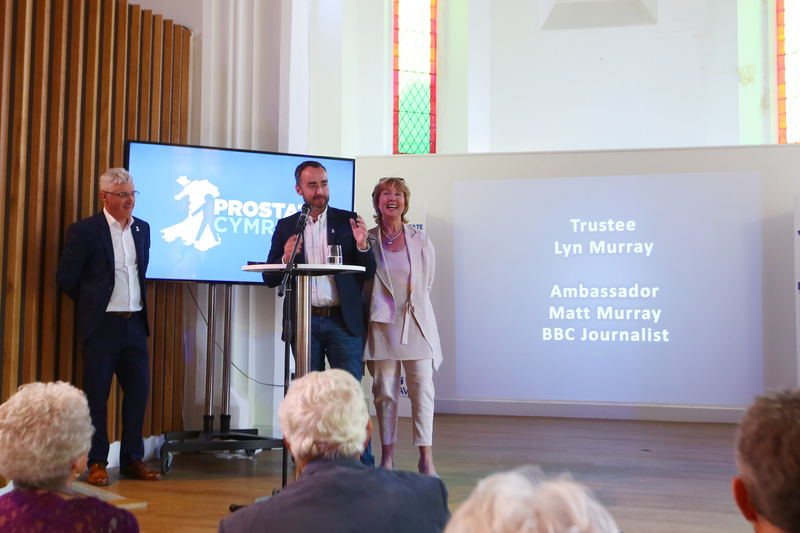 A special mention was given to the recipients of this year’s Ray Murray and Ray Williams Travelling Fellowships Mohamad Namzi Nordin, Harry Farrer, Chukwugozie Onwuemene, Louis Gower and Benjamin Tanner who are currently on their electives across the world studying urology. 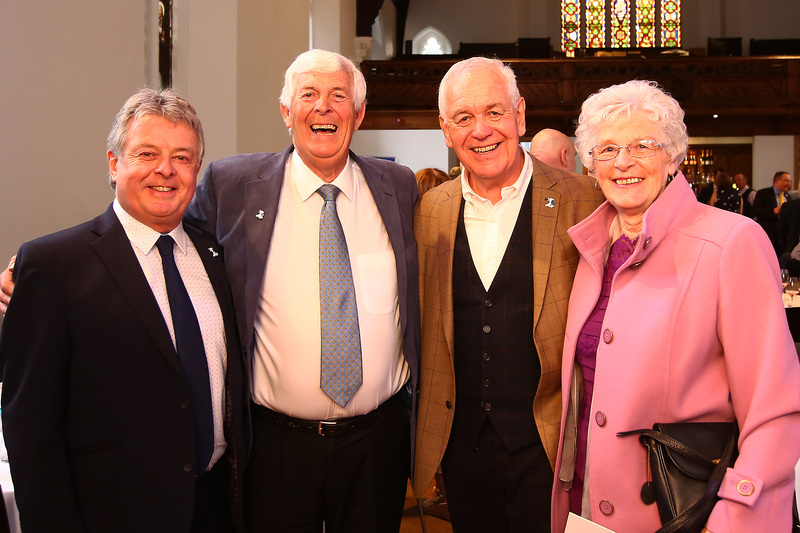 Andy also invited trustee Lyn Murray and ambassador Matt Murray to the stage to present a gift to Jamie Devonald and Richard Johns of Barola Properties in thanks of providing the charity with rent free offices before their recent move. 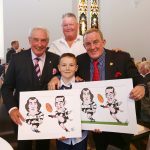 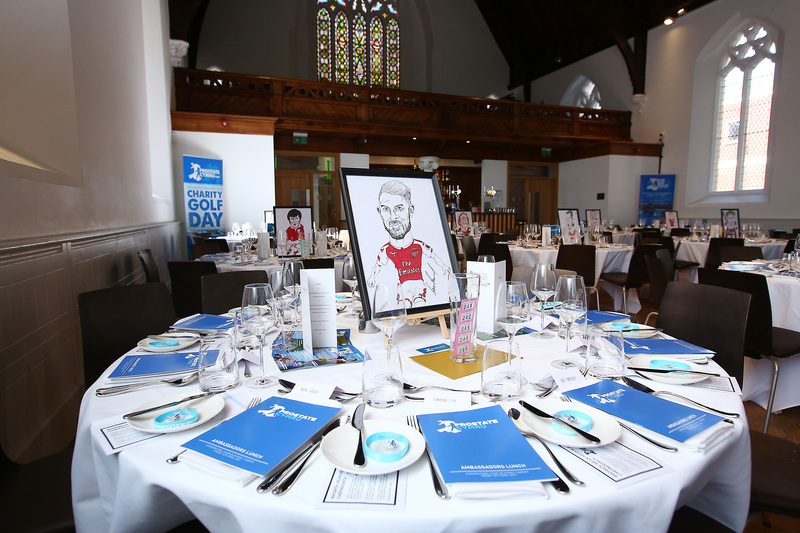 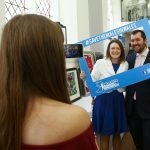 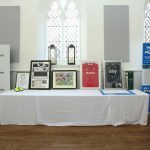 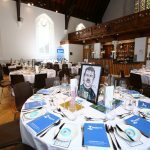 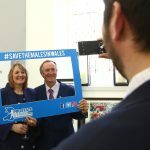 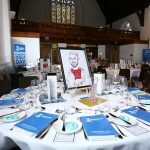 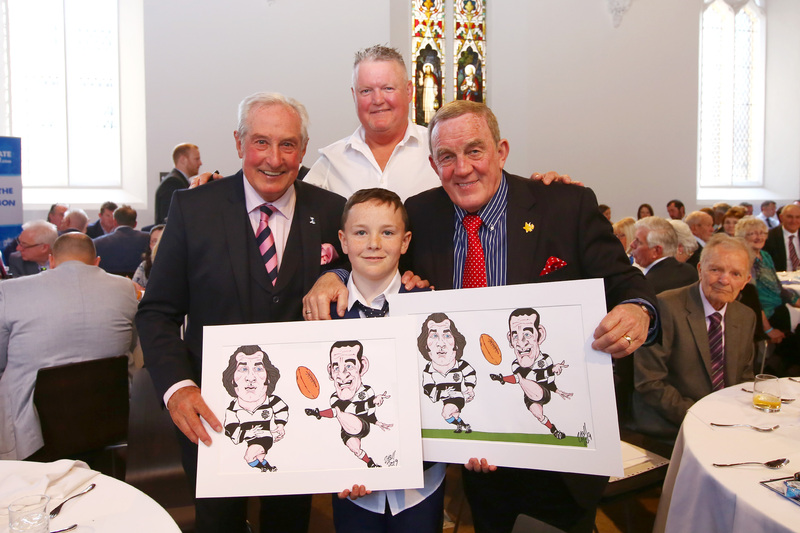 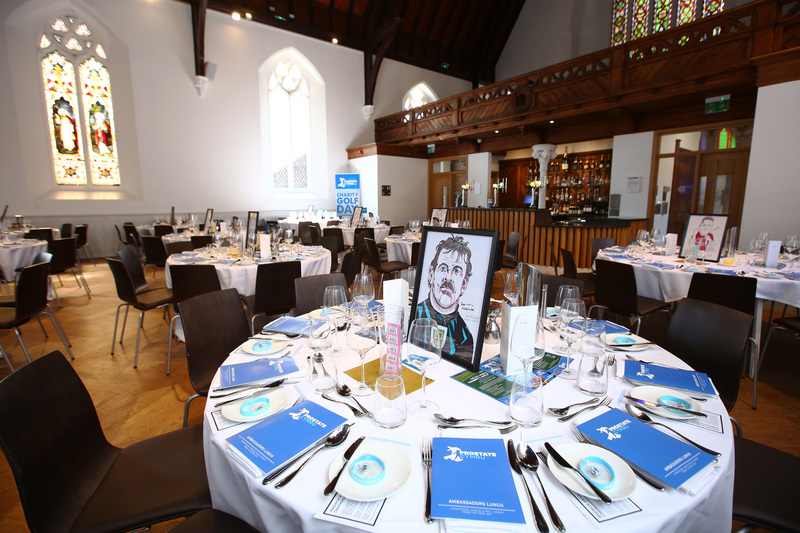 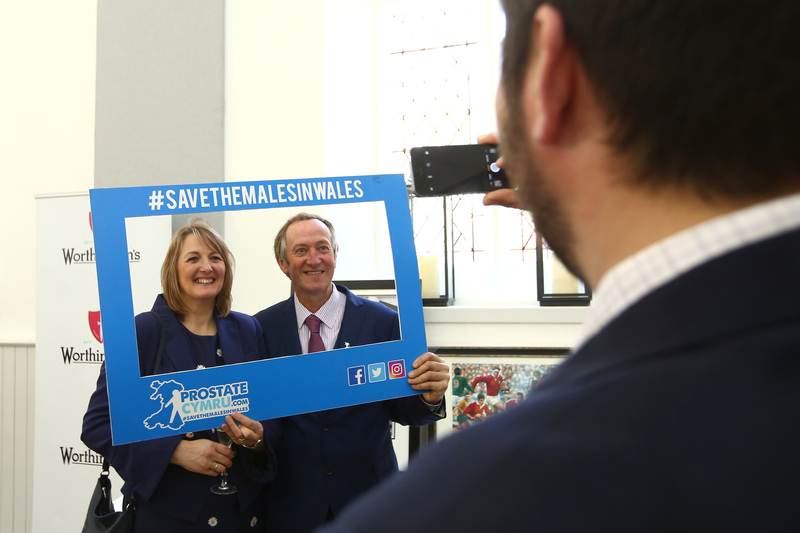 Event attendees helped raise money during the lunch by participating in the raffle, auction and a portrait sweep in which one lucky guest per table won a signed caricature of a Welsh legend drawn and kindly donated by Tim Driscoll. 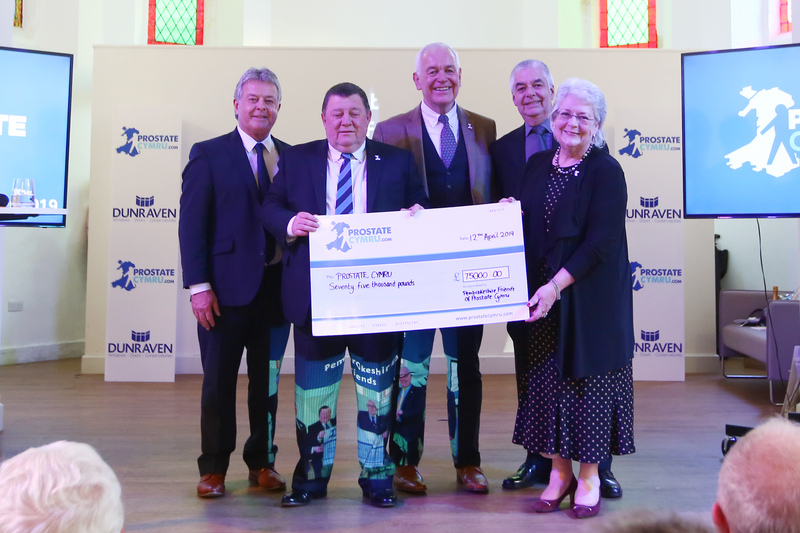 The Pembrokeshire Friends of Prostate Cymru also presented a cheque for £75000 to the charity. 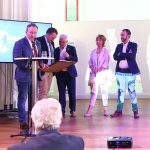 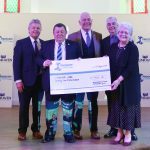 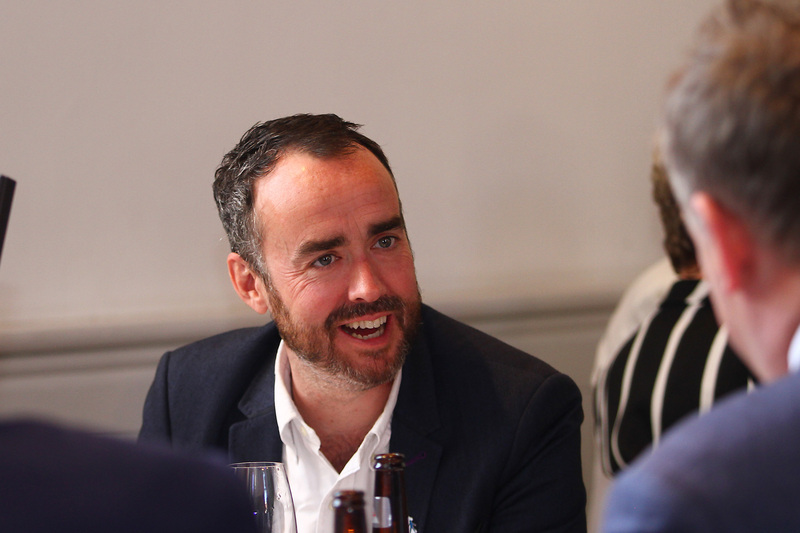 Following a delicious three course meal by Spiros Caterers, the charity’s annual fundraising awards were presented in a section hosted by ambassador weather presenter and broadcaster Chris Jones. 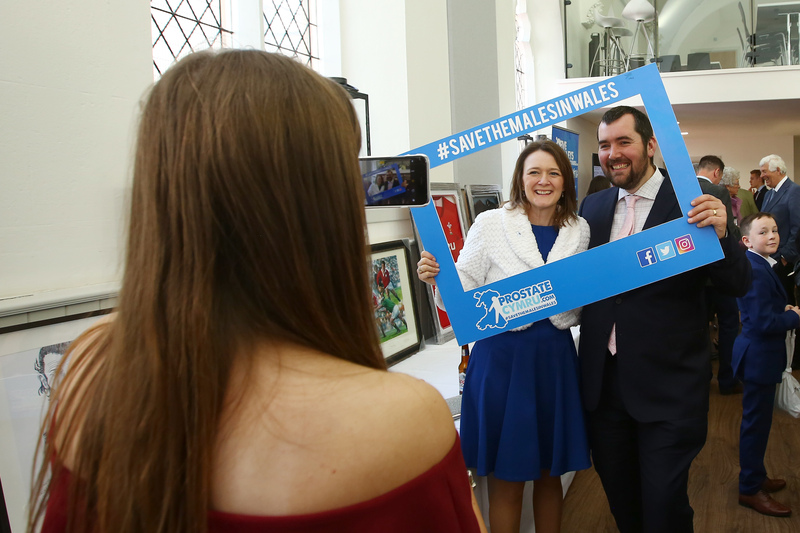 Pembrokeshire Young Farmers, Rajib Ahmed & Carwyn Hopkins and Meurig Harries won Fundraising Team of the Year, Young Fundraisers of the Year and Fundraiser of the Year respectively. 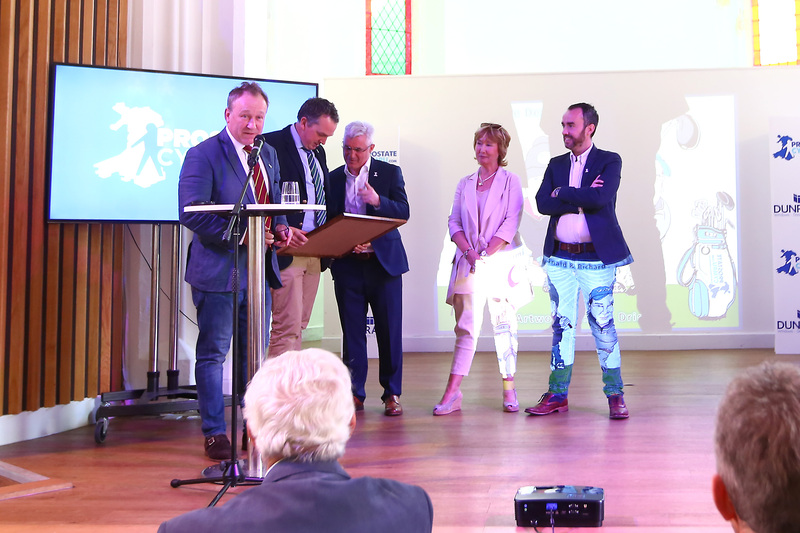 Additionally a special recognition award was presented to Tap It Out Cycle Club who have supported the charity for a number of years through cycling tours. 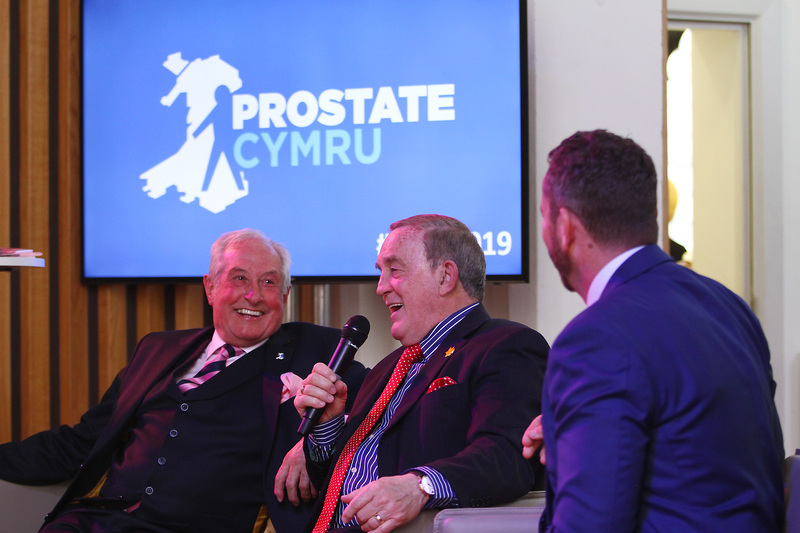 The afternoon concluded with a question and answer session hosted by rugby broadcaster Sean Holley and featuring legends of the game Phil Bennett OBE and Sir Gareth Edwards CBE. 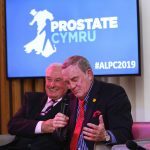 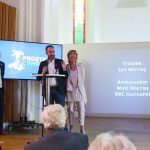 The trio discussed the recent Six Nations tournament and looked forward to the Rugby World Cup in Japan, praising current captain Alun Wyn Jones in particular. 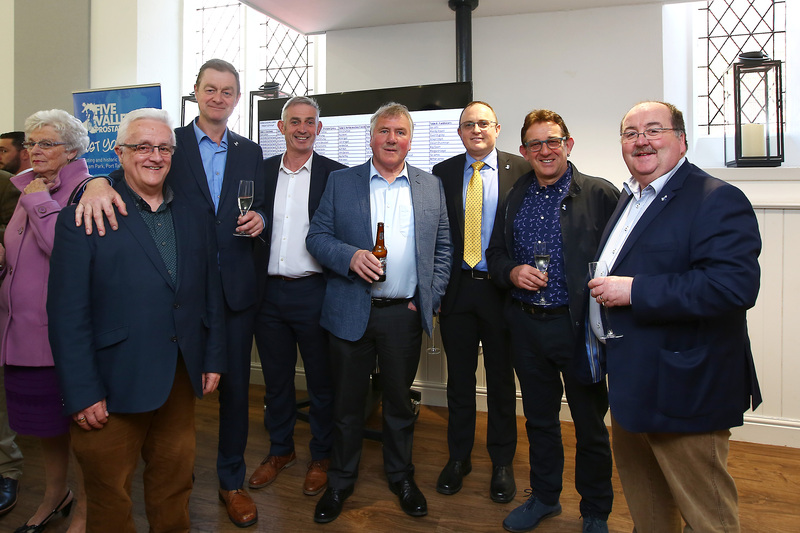 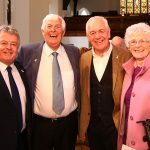 They also shared humorous memories of their Welsh rugby games and Lions tours and affectionately remembering their team mates from that period.